Your Meditative Affirmation: I am open and receptive in releasing all old patterns, all lower energies, and all negative energies that are no longer serving my higher-self. I am safe and protected, as I learn to trust myself , bringing in more confidence as I continue to move forward in all ways. 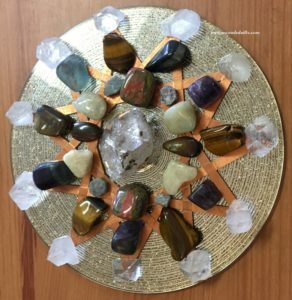 Crystal grids consist of healing stones placed in concise geometric arrangements in order to affect the flow of energy for a specific purpose. 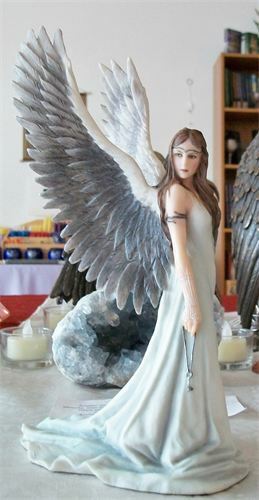 The properties of the stones and crystals used, combined with their placement, creates a unique energy frequency that can be used to enhance your intention. By combining crystals and stones with Sacred Geometry, the language of the Universe, you can directly communicate with the Universal Source. In this way, your message gets through in a way that is “crystal clear”, aiding in manifesting, healing, and much more.